In this age of e-mail and e-cards, receiving a “real” greeting card in the mail is a real treat. I know quite a few of my friends feel that way, too, and as a result, I’m always on the lookout for unique cards. 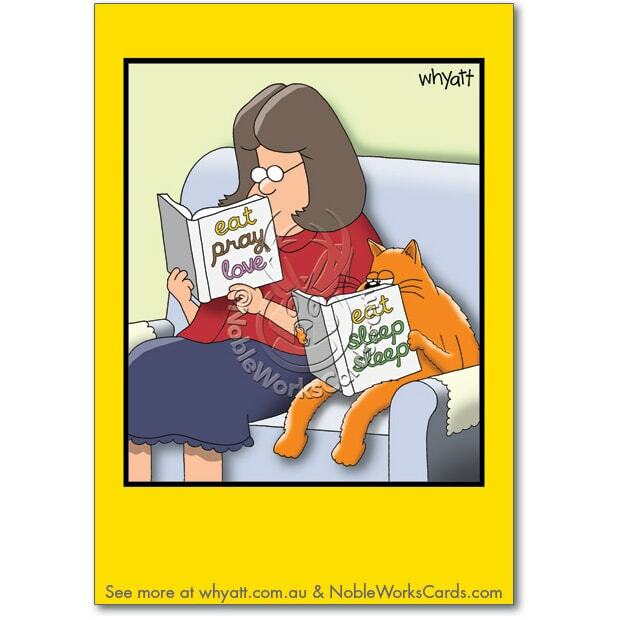 Nobleworks offers a huge selection of humorous and witty cards for all occasions. Some of their cards are a little edgy, featuring sarcasm and somewhat racy jokes. While that kind of humor is not really my cup of tea, I have to admit, some of these “darker” cards are laugh-out-loud funny. All cards are printed on recycled or recyclable paper, are printed in the US, and are shipped free. Enter to win an assortment of 15 cards – winner’s choice! We’re giving away an assortment of 15 cards to one lucky winner – winner gets to choose the cards. To enter this giveaway, please leave a comment and let me know who you would send the first card to. For an additional chance to win, share this giveaway on Facebook, Twitter, Google+ or Pinterest, and leave a separate comment for each social network, letting me know that you shared. No need to post the link to your share. This giveaway is open to readers in the United States only, and ends Thursday, August 1. Winners will be chosen by random drawing*. For more information about Nobleworks Cards and to purchase, please visit http://www.Nobelworkscards.com. « Is Your Cat A Tree Dweller or A Bush Dweller? Sharing on twitter and facebook. As stated in the post, this giveaway ended August 1, Susan. Check back every Thursday for new giveaways! I would send the first card to my best friend, who is also a cat lover and has a birthday in the next few weeks! I would send one to myself because my birthday is August 15th and no ne ever sends me a card!!!! I would send the first card to my mom, because she started my love of cats. I shared this on Facebook, Twitter and Pinterest. I lave a lot of cat-loving friends! They’d all get one until I ran out of cards. Love these cards – s hilarious. Would send first card to my sister, who loves cats too! I would probably send several out right away. I have multiple cat loving friends who could use a good laugh! I would send one to a friend who has been sick in this hospital. These are wonderful. I also vote for The Conscious Cat every day in the Petties contest to choose the finalists. 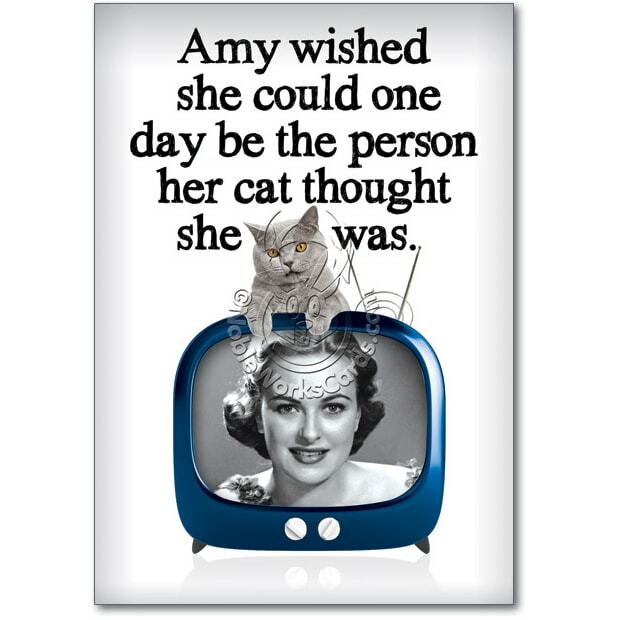 I would send the first card to my aunt Jeanne, who loves cats and all other animals, too! I would send it to my boyfriends mom because she loves cats as much as I do. I would send the first card to my lovely friend Sue who loves her cats with her whole heart and soul. I would send the first card to my best friend, Rose. We both have a lot of cats and we pet sit for each other. We currently co-own a pair of feral kittens (we split the vet bills and food, but they are currently staying at Rose’s house.) We are both crazy animal lovers! I would keep them all to my self i love them all. My first card would be to my cousin. She is recently a converted cat person…now owns two after always loving only dogs. Plus she is recently divorced and could use something to cheer her up in her mailbox! I would send the first card to my parents to hopefully brighten their day! 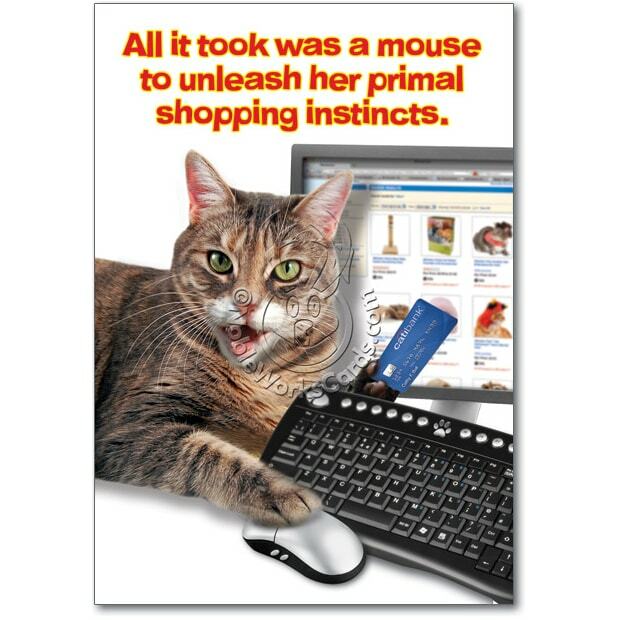 I scour the local stores for cards that feature cats, and send them to my family and friends. I try to never repeat the same card, but like you Ingrid, I don’t like the mean tone to some. Even send out cat Christmas Cards! It all started after my father passed, and I began to send cat cards to my mother for every holiday on the books. The big holidays, of course, but if I found a card for Arbor Day or St. Patrick’s Day, I’d mail one to her. She has her collection of my cat cards pinned above her desk, and it’s one little gift I can give her that no one else does. If I won this contest, I would mail a card straightaway to Mom! I would send it to my sister, Debbie, as she loves cats and sarcasm, wit, and just plain funny, so she would love these cards. She would also love to receive a card in the mail, since we don’t live close and don’t get a chance to visit often. What great cards these are! If I were to win I would send one to my brother first, his birthday is August 24. These are just GREAT cards! I would send a card to my dear friend Christine. She just recently lost her kitty, Mischief, to blood parasites. He had been with her through a lot so it’s been a hard loss for her. I live 1800 miles away so cards, calls, and texts are the only way I have been able to help her through this.